From 19 to 22 April, Pardubice in the Czech Republic hosts the third stage of the Eurotour, with the Russian national team, fresh from its stunning triumph at the 2018 Olympics, now under the new guidance of Ilya Vorobyov. Russia's first match under the new regime takes place today and on home soil, in Yaroslavl, against the men from Sweden, while the five remaining games in the tournament will be played in Pardubice. 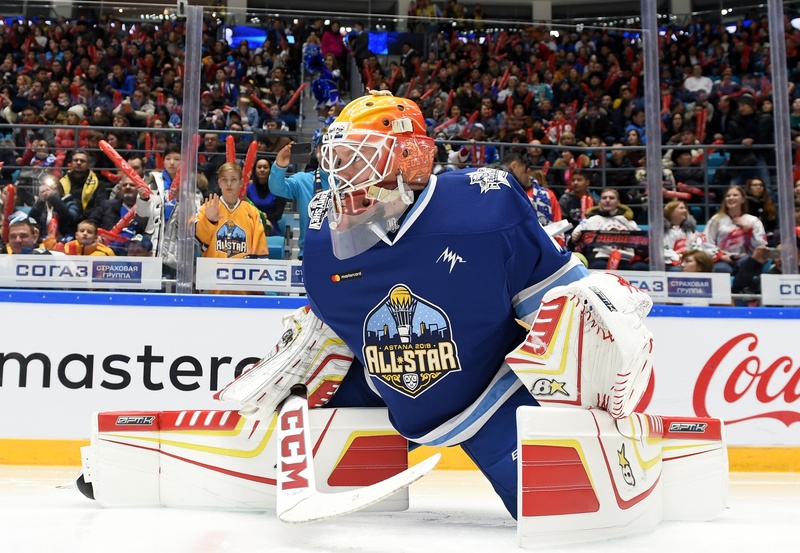 As is increasingly the case, there is a large contingent of KHL players in the tournament. To add to the 25 in the Russian roster, there are 4 in the blue-and-yellow of Sweden, 8 appearing for the Czechs, and seven turning out for Finland. Forwards: Nikita Gusev, Pavel Datsyuk, Alexander Barabanov, Viktor Tikhonov, Ilya Kablukov (all – SKA), Evgeny Dadonov, Maxim Mamin (both – Florida Panthers), Dmitry Kagarlitsky (Severstal), Alexei Byvaltsev (Amur), Nikita Soshnikov (St. Louis Blues), Anton Slepyshev (Edmonton Oilers), Alexander Dergachyov (Spartak), Pavel Buchnevich (New York Rangers), Alexei Kruchinin (Traktor), Kirill Semyonov, Ilya Mikheyev (both - Avangard). Forwards: Marko Anttila, Pekka Jormakka, Mika Niemi, Olli Palola (all - Jokerit), Jonas Enlund (Sibir), Kasper Bjorkquist (Providence, NCAA), Juuso Ikonen (Bruynas, Sweden), Sakari Manninen, Jere Sallinen (both - Orebro, Sweden), Juuso Puustinen, Antti Suomela (both - JYP), Toni Rajala (Biel, Switzerland), Sami Sandell, Eemeli Suomi (both - Ilves), Veli-Matti Savinainen (Ugra). Forwards: Anton Rodin (Davos, Switzerland), Victor Olofsson (Frolunda), Rasmus Asplund (Farjestad), Dennis Everberg (Neftekhimik), Patrik Zackrisson (Sibir), Jakob Nilsson (Mora), Lias Andersson (New York Rangers), Isac Lundestrom (Lulea), Linus Olund (Brynas), John Norman (Jokerit), Axel Jonsson-Fjallby (Djurgardens), Olle Liss (Rogle), Carl Klingberg (Zug, Switzerland), Fredrik Handemark (Malmo).